Conservation groups are applauding an announcement on May 24 from Minister of Fisheries and Oceans Dominic LeBlanc and Minister of Environment and Climate Change Catherine McKenna declaring endangered Southern Resident killer whales (SRKW) face “imminent threats” to their survival and recovery. Southern Resident killer whales are a genetically and culturally-distinct population of salmon-eating orca whales who hunt, socialize, and raise their young in the Salish Sea, a region that includes the Juan de Fuca Strait, Georgia Strait, and Puget Sound. Prompted by this assessment, the ministers also announced immediate fisheries closures in key Southern Resident foraging areas. Environmental representatives, including Megan Leslie, president and CEO of WWF-Canada, applaud the declaration, but recognize fisheries closures are only one step in what must become a multi-faceted plan. Faced with declining populations of Chinook salmon, their primary source of food, the Southern Residents are suffering nutritional stress and are at serious risk of malnutrition and starvation. In January, Ecojustice, on behalf of David Suzuki Foundation, Georgia Strait Alliance, Natural Resources Defense Council, Raincoast Conservation Foundation, and World Wildlife Fund Canada, petitioned the ministers for emergency protection for the whales under the federal Species at Risk Act. The announcement responds to that request. It also means the ministers are now legally obligated to recommend that the federal Cabinet issue emergency protections for the whales, the groups say. 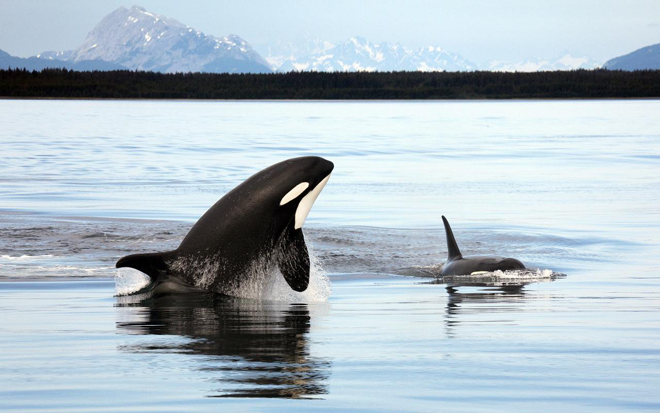 While the measures announced partially address concerns over orca prey availability, further action is still required to fully protect the orcas against the three main threats they face: reduced availability of Chinook salmon, acoustic and physical disturbance from vessels, which interferes with their ability to hunt and communicate, and pollution. For example, the groups say whale watching should be restricted in key orca foraging areas. Only 76 members of the SRKW population remain, and no successful births have been documented since 2015. Lacking protective safeguards, the likelihood of the Southern Residents becoming extinct is high because their population size is small and their critical habitat in the Salish Sea has been degraded.